When the time comes and a stairlift is no longer required it is possible that we may be interested in buying it from you. We are particularly interested in the Stannah 260 curved stairlift as it is a good contender for parts or sometimes reconditioning. A 260 can be easily recognised as normally it has a sticker on the front or side that identifies it. It will look like the curved stairlift in the picture above that runs on 2 rails. 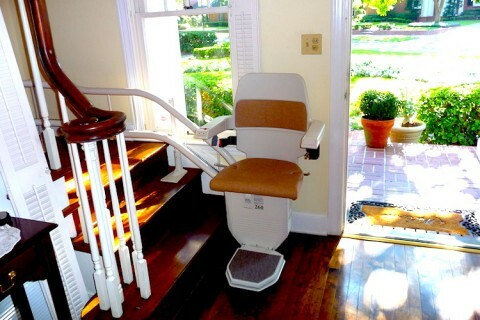 We may also be interested in your straight stairlift, but this will be dependant on current rental stock. Call us to see if we have a need as supply and demand changes on a monthly basis. 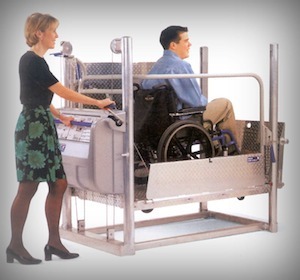 We can also remove stairlifts for scrap although there is normally a charge for this. Contact us now to see if we can help you. Magic Mobility Ltd has proven results for setting exceptional standards in cost control, planning, scheduling and project safety. We have experience that gives us a competitive advantage over others in our field. We do not overcharge, we do not bully our customers, and we thrive on job satisfaction and you can trust us to give free un-biased honest advice based on years of experience. A lot of or work comes by recommendation so we must be doing something right. Do you offer a true 24 hour service?? We offer a 24 hour response time. Which means we can normally get to you within 24 hours. A lot of companies actually mean the same thing, they just don’t tell you up front. 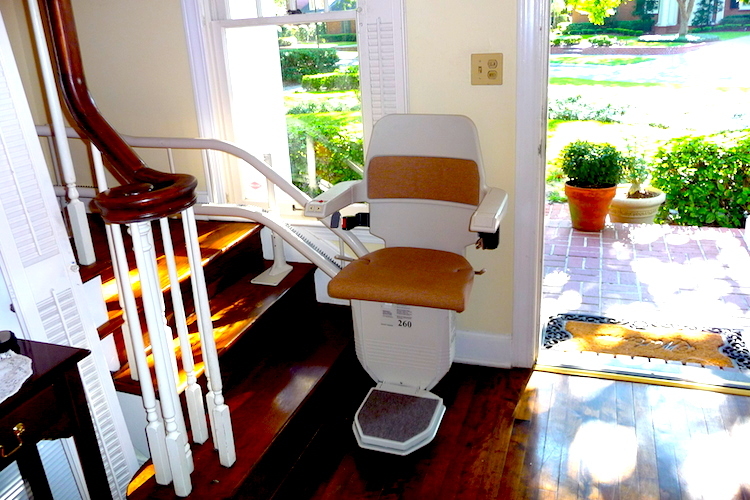 What is the cost of a typical stairlift repair? 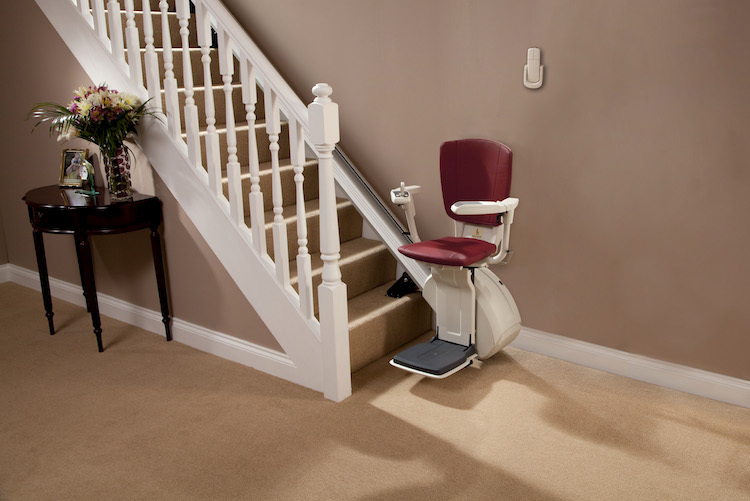 Ok, sticking our neck out on this one, but lets take a stairlift that has battery problems. 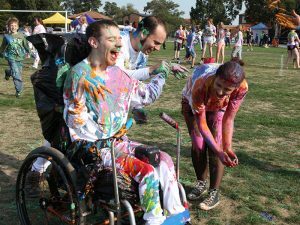 We would charge in the region of £120 to attend and replace the batteries. You may find cheaper, but always ask about the quality of the batteries. We only use high end batteries like Yuasa that will last 3 years or more. Others may use cheap and tacky Chinese stock that might fade within a 12 months. Yes we do, normally on lifts we supply but we can organise routine servicing on other lifts providing they are in good condition from the start. Call us to find out more. Do you sell stairlifts as well? Yes indeed we do. We are dealers and agents for top brands so please call us and let us quote for a new or replacement lift. Are you cheaper than Stannah to call out?? Yes about half the price and that includes half an hour on site as well.